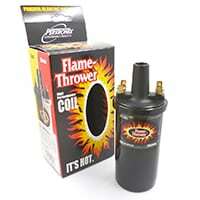 This chrome 40,000 volt Flame-Thrower ignition coil is a perfect complement to the PerTronix inductive Hall Effect distributor module. 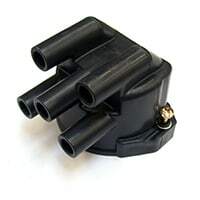 Black PerTronix Flame-Thrower ignition coil for Minis with ballasted ignition system, typically 1984 to 1996 range. 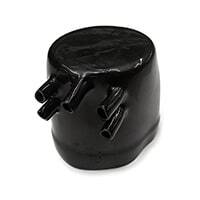 Oil filled for better cooling and voltage insulation. 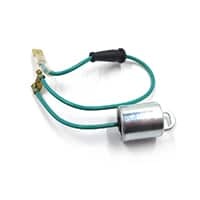 3 ohm resistance as used on Minis up to 1984 without an external ballast resistor in the ignition wiring. 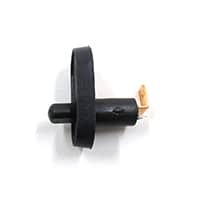 Condensor, fits every Lucas distributor 1974-on. Some A+ engines were fitted with Ducellier distributors, which required special ignition parts, such as this condenser. See also DDB221 cap, DSB218 points, and DRB229 rotor. 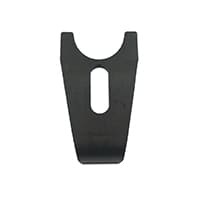 Classic U.K. Moke toeboard-mounted dip switch wiring harness protector. 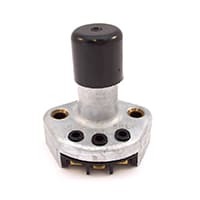 Floor-mounted headlamp dimmer switch. 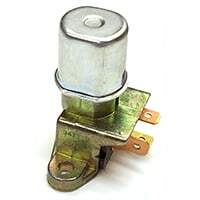 This is the smaller of the two versions of this switch, but will interchange with the other switch. Larger of the two floor-mounted headlamp dimmer switches found on the Mini. 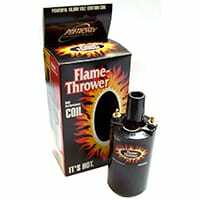 Used on early Mk1 Minis. Wires are connected with set screws instead of spades. 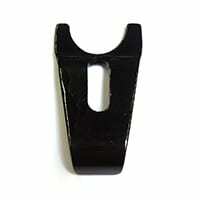 Distributor cap retaining clip for 1974-on 45D series distributors. Fits DDB108/GDC136 caps. 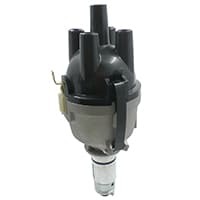 Top-exit distributor cap for Lucas 45D distributor, 1974 to 1990. 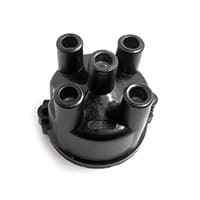 Distributor cap for 23D and 25D pre-A+ distributor, with side-exit terminals. Wires (not included) are held in with screws. 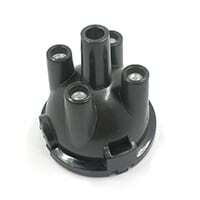 Distributor cap for 23D and 25D distributor. Top exit. Formerly sku #GDC103. 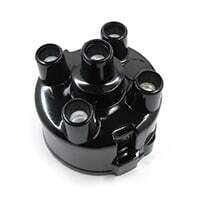 Distributor cap for any electronic distributor. 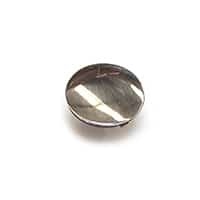 Cap is held on with screws. 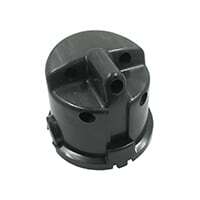 Non-standard side-exit push-in cap for Lucas 45D distributors. 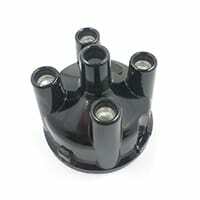 This cap is used when improved weather protection of the distributor is required, or confined space requires the side exit cap. With the introduction of the improved A+ engines from Rover, one of the the changes was a revised distributor and it mounting system and drive gear. 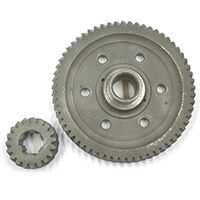 The drive gear has a wider slot for the larger engagement dog on the bottom of the distributor. Used. With the introduction of the improved A+ engines from Rover, one of the the changes was a revised distributor and it mounting system and drive gear. 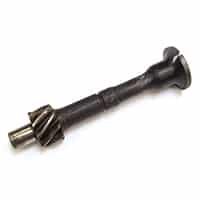 The drive gear has a wider slot for the larger engagement dog on the bottom of the distributor. Good condition used distributor drive spindle/gear for A-series only. They get damaged or lost when engines are taken apart, so we keep a good stock on hand. 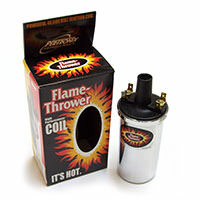 This is the later A+ distributor retainer, introduced with the “black box” electronic distributor. 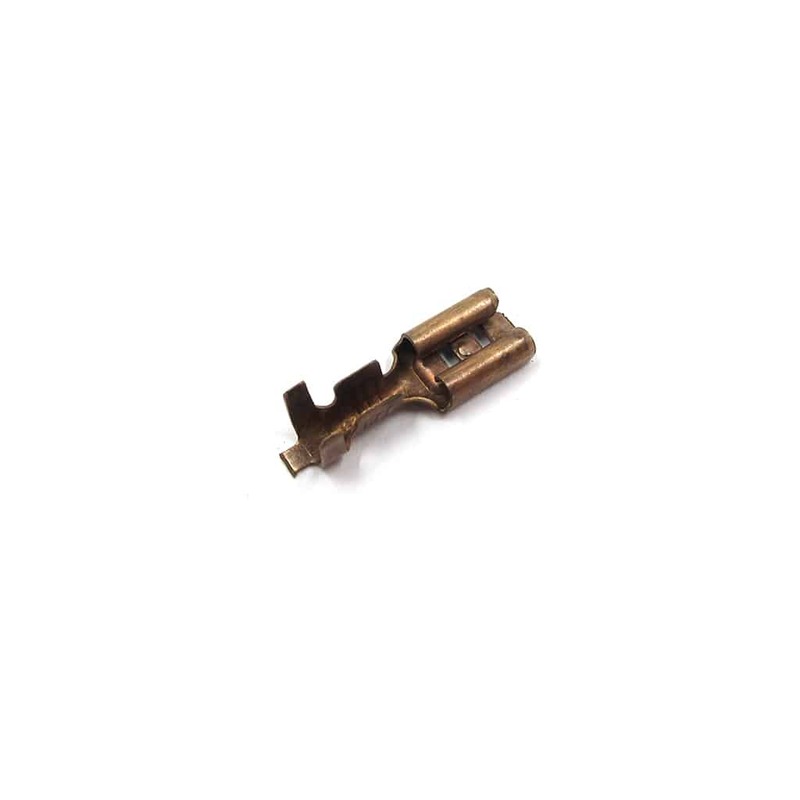 If you are using the factory electronic distributor, this is the only clamp that will allow it to fit the block in the correct orientation. Sold each. 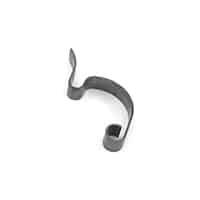 A+ distributor retaining clamp. 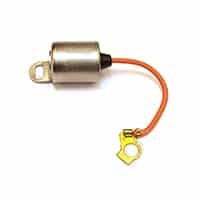 to be used with points-type distributor or aftermarket electronic distributor. 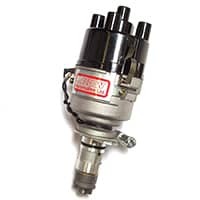 Used/refurbished version of the later A+ distributor retainer, introduced with the “black box” electronic distributor. 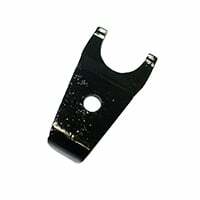 Can also be used on points-type distributors, as well as aftermarket distributors. Sold each. 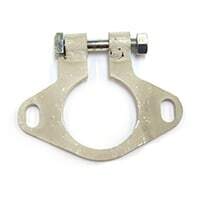 Replacement clamp for all distributors used on A-series (not A+) engines. A nice stainless steel hold-down clamp for points-type A+ distributor, with graduated markings for advance calibration. Laser cut from stainless steel. Not suitable for black-box electronic distributor models. 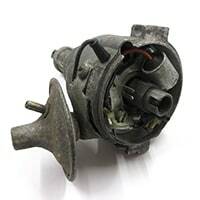 59D points-type distributor for 1275 A+ engine, including Metro. Complete assembly including cap, rotor, points and condenser. 23D mechanical advance A-Series distributor, with the looks of a Cooper S distributor but fitted a top-exit cap. 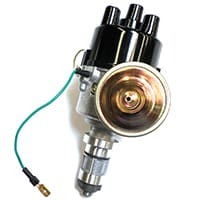 This A-Series distributor has the looks of a Cooper S distributor, but with the convenience of electronic ignition. 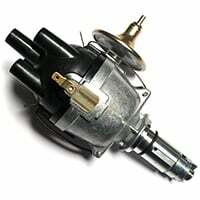 Modern Japanese electronics have been combined with the Lucas 45D4 Distributor to give you the best of both worlds, maintenance-free ignition with the original look of your British Distributor. 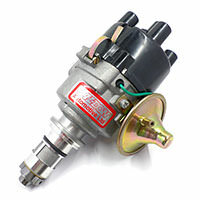 59D points-type distributor for A+ 998cc, 1981-1989. Used Lucas 59D series points distributor for A+ blocks. With vacuum advance unit. 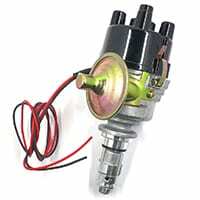 Cap, points, rotor and condenser may not be included and should be ordered new at time of purchase. 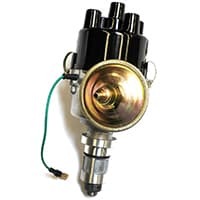 A+ electronic ignition distributor with vacuum advance, curved to give best performance on Minis with performance camshaft up to to 276 spec. 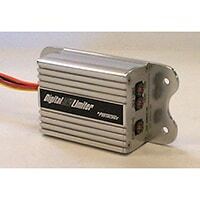 Advanced electronic distributor for your A+ Mini. 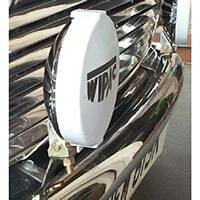 Replaces the 59D points-type or the 65D black box type. 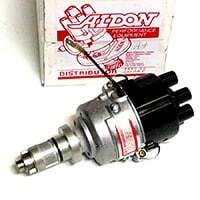 Aldon Red distributor for A-plus mini. Aldon Yellow distributor for race-tuned engines. 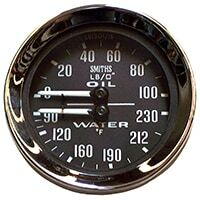 Fits pre-A+ engines only; mechanical advance only in this unit. 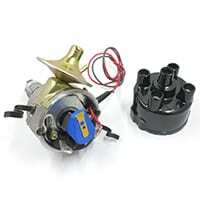 Aldon Yellow non-vacuum advance distributor for A-Plus for performance street application. 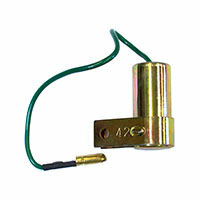 Aldon Yellow distributor A-Plus with vacuum advance. 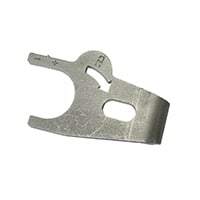 Custom ignition curve for performance street application. 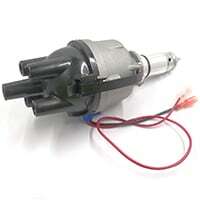 Built on new distributor body for accuracy and long life. Aldon Yellow distributor for tuned road engines. 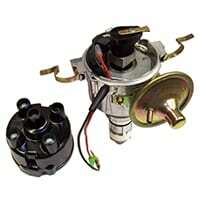 Fits pre-A+ engines only; mechanical advance only in this unit. 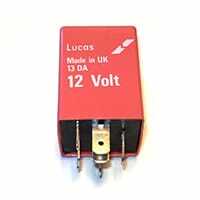 Lucas style 25D distributor with vacuum advance for pre-A+ motors. 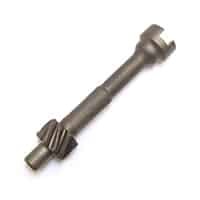 These dizzies feature an adjustment screw for fine tuning the timing. This is the switch that fitted into the A post to turn the interior light on and off. 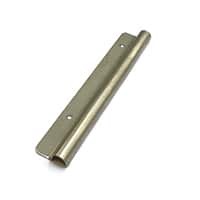 Mk1-Mk2 cars will require some modification to fit. 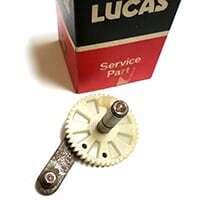 Internal drive gear for round-bodied two-speed wiper motor. 110° arc. 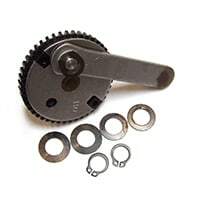 Wiper gear and shaft for 1-speed wiper motor, 120 degree sweep. Lucas number 54702585.